Case: 13-17823 Date: July 2, 2013 Time: 2:00 p.m.
Mt. 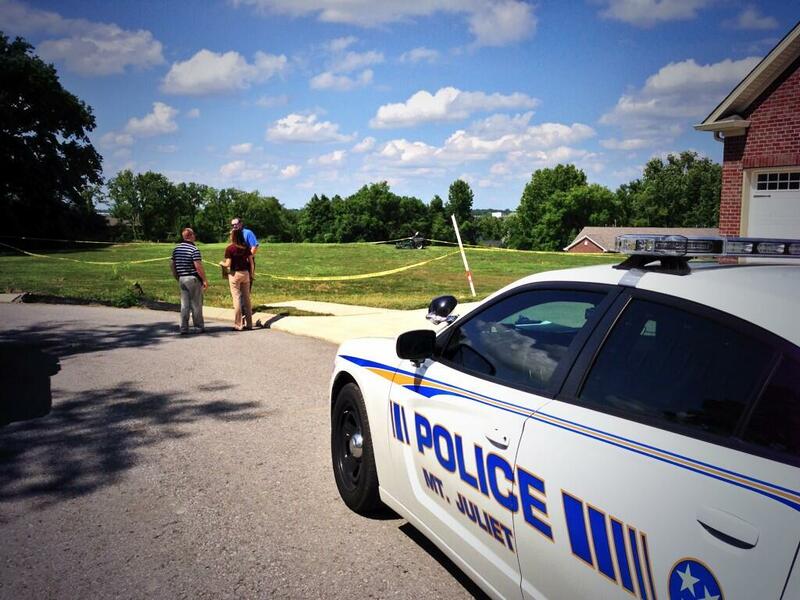 Juliet, Tenn. – A 20-year-old male landscaper was robbed while mowing grass in a Mt. Juliet neighborhood this afternoon. At 2:00 p.m. the victim called 911 stating he had just been robbed at gunpoint. Mt. Juliet Police officers immediately responded to the scene, but the suspects had already fled the area. The victim stated to investigators that two suspects approached him as he was mowing the grass on a riding lawnmower. One suspect was armed with a handgun, and they demanded his headphones. A struggle developed, and one shot was fired by a suspect. After the gunshot, both suspects ran to a nearby vehicle, which was described as a tan 2000 year model Jeep Grand Cherokee. The suspects were described as two black males in their early 20’s. One was wearing a black shirt and had long hair, and the other was wearing a bright green shirt and a black hat. It is believed, that prior to robbing the victim, the suspects burglarized his vehicle. Investigators with Mt. Juliet’s Criminal Investigations Division responded to the scene for processing and evidence collection. No one was injured during this incident. This investigation is ongoing, and investigators are now piecing everything together in hopes of a quick resolution.